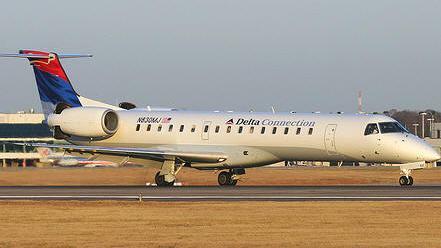 May 18, 2010 - The United States District Court for the Northern District of Georgia ruled against the Mesa Air Group subsidiary Freedom Airlines in its litigation with Delta Air Lines regarding Delta's efforts to terminate an agreement covering 22 regional jet aircraft. The litigation stemmed from Delta's asserted termination of the Freedom Airlines agreement based upon flights canceled at Delta's request, during periods of operational irregularity (bad weather and ATC delays) at JFK in order to make way for Delta's larger jets, which were then retroactively held against Freedom for purposes of calculating its minimum flight completion factor. Based upon this retroactive calculation, the Court had issued a preliminary injunction in June 2008 prohibiting Delta from terminating the agreement. In reaching its decision today, the Court reversed its prior preliminary injunction preventing Delta from terminating the agreement. The Company is in the process of reviewing the Order and evaluating options going forward. Mesa has not yet reviewed its options for appeal. "We are extremely disappointed by the District Court's decision. We have at all times sought to act as a good partner and work with Delta as a member of Delta Connection. Unfortunately Freedom's willingness to proactively cancel flights in JFK at Delta's request for the benefit of Delta was held against Freedom and was used as the sole basis to terminate our contract. It is disheartening that our Company and people will be punished retroactively for taking actions in good faith at Delta's direction," said Jonathan Ornstein, Chairman and Chief Executive of Mesa Air Group. "We are greatly concerned for our approximately 500 employees who will be significantly impacted as a result of this decision, despite their hard work and commitment which has placed Freedom's operation at or near the top of the Delta Connection portfolio over the last year. The loss of these jobs, particularly under these circumstances is extremely disappointing. I would like to thank all of the employees at Freedom for the outstanding job they have done over the last two years under extremely difficult circumstances," continued Mr. Ornstein. Mesa currently operates 99 aircraft with approximately 580 daily system departures to 104 cities, 39 states, the District of Columbia, Canada, and Mexico. Mesa operates as Delta Connection, US Airways Express and United Express under contractual agreements with Delta Air Lines, US Airways and United Airlines, respectively, and independently as Mesa Airlines and go! Mokulele. This operation links Honolulu to the neighbor island airports of Hilo, Kahului, Kona and Lihue. The Company, founded by Larry and Janie Risley in New Mexico in 1982, has approximately 3,500 employees. Freedom Airlines, Inc. is an American FAA Part 121 certificated air carrier operating under air carrier certificate number FDKA087K issued on April 1, 2002. The Nevada Corporation is headquartered in Irving, Texas and is a subsidiary of Mesa Air Group. It operates flights as Delta Connection for Delta Air Lines serving Delta's hub at Cincinnati/Northern Kentucky International Airport in Hebron, KY, near Cincinnati, OH using EMB 145 aircraft. Freedom's base has been moved to Cincinnati from New York City in July 2009.Freedom previously operated the CRJ-900 aircraft as Delta Connection as well, however, this contract has been canceled and all aircraft and orders will be transferred to Eagan, MN-based Mesaba Airlines and Atlanta, GA-based Atlantic Southeast Airlines as well as Pinnacle Airlines.